This week I had the great pleasure to spend a few days in Berlin, a city full of history that combines the old with the new. 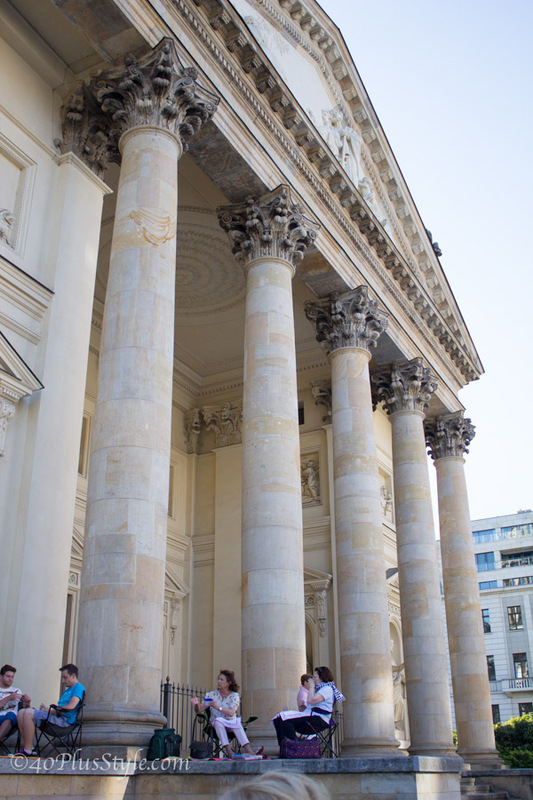 Here are a few impressions of Berlin. 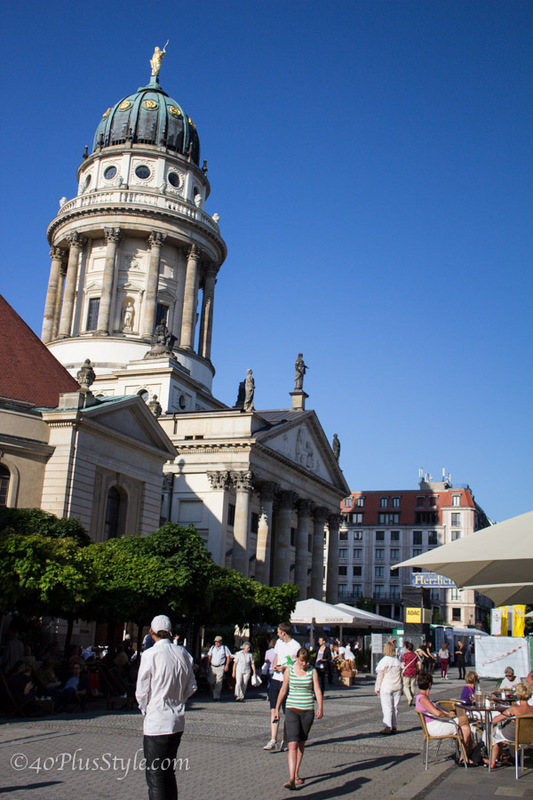 Our hotel was close to the Gendermemarkt, a cosy square in Berlin. We couldn’t cross it, however, as there was an outdoor classical concert. 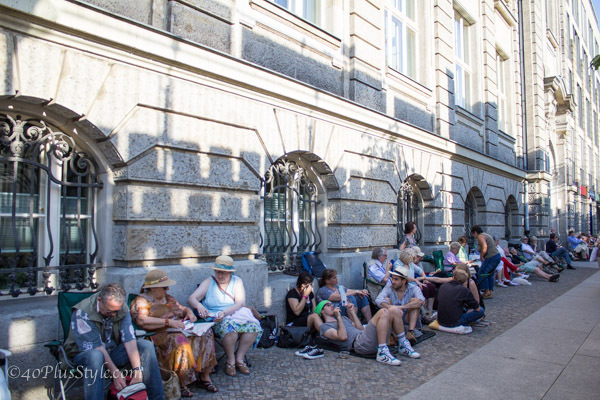 Although the area was fenced off and tickets had to be purchased, people had gathered all around the square as you could still listen and enjoy the music. 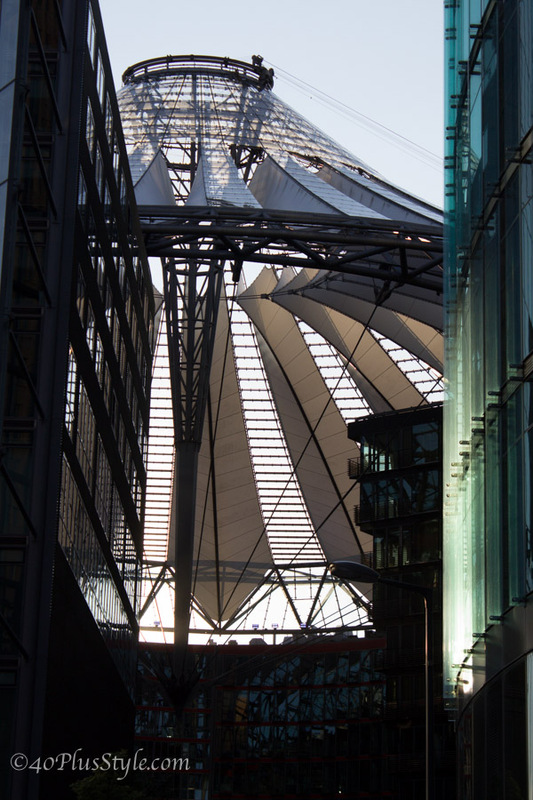 Berlin is constantly in development and throughout the city you can still see construction. The city itself is a combination of the old and the new. 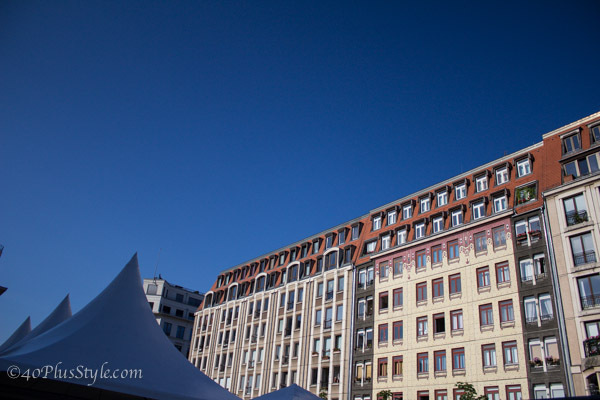 Below is a good example of a development that really works and blends in well with the old buildings of the Gendermemarkt. The concert was appealing for both the young and the old. Dressing in Berlin is very casual with most people for t-shirt and jeans. This lady was a great exception to that rule. 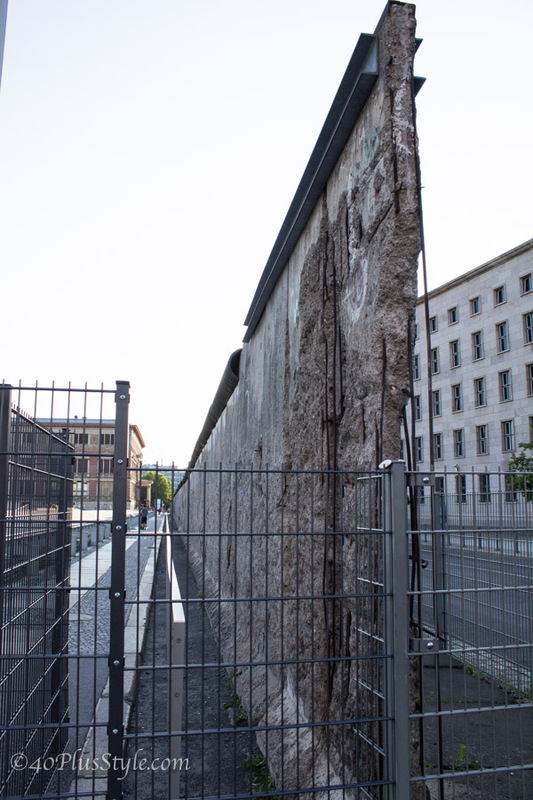 Another part of Berlin’s history is the wall that was constructed in 1961 to divide the city. 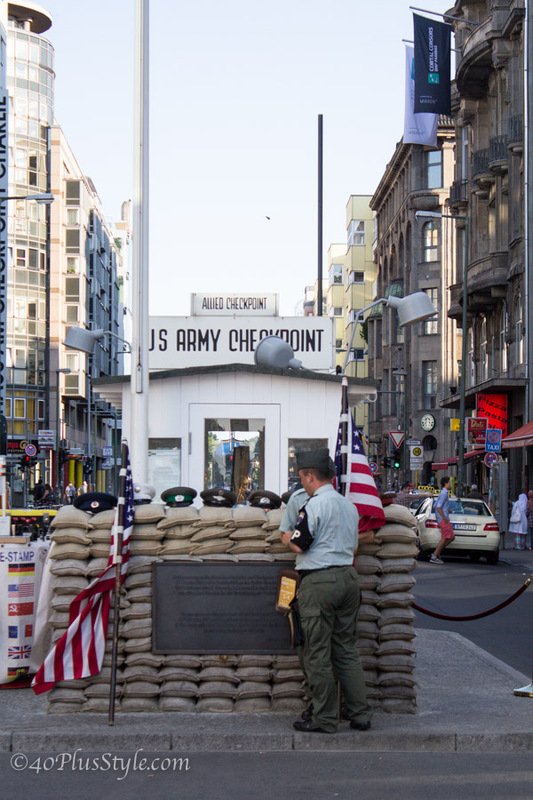 The border crossing was Checkpoint Charlie which is now symbolised by this this small checkpoint. Closeby is an outside exposition of all the events leading up towards the construction of the wall and its eventual demolishment in 1989. Below you can see how the scene looked in the 1960s. This is how the picture looks now (standing from the American side looking towards the Russian side. Came across these old trabants while walking on the street. And here is an old part of the wall, which is currently used as a backdrop for an exhibition of the rise of Hitler regimen. The Postdamer Platz marks the point where the old road from Potsdam passed through the city wall of Berlin at the Potsdam Gate. 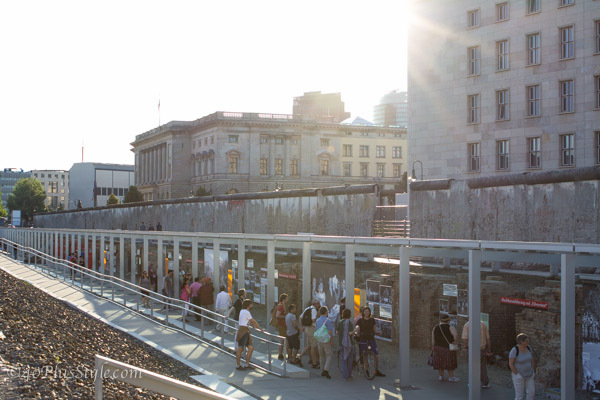 This area was totally laid waste during World War II and then left desolate during the Cold War era when the Berlin Wall bisected its former location. 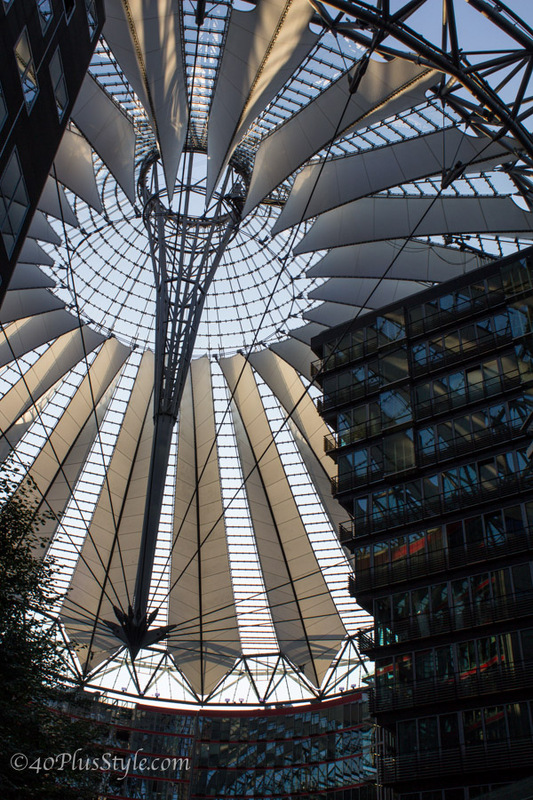 Since the German reunification, Potsdamer Platz has been the site of major redevelopment projects, one of them the Sony Center which you see below. 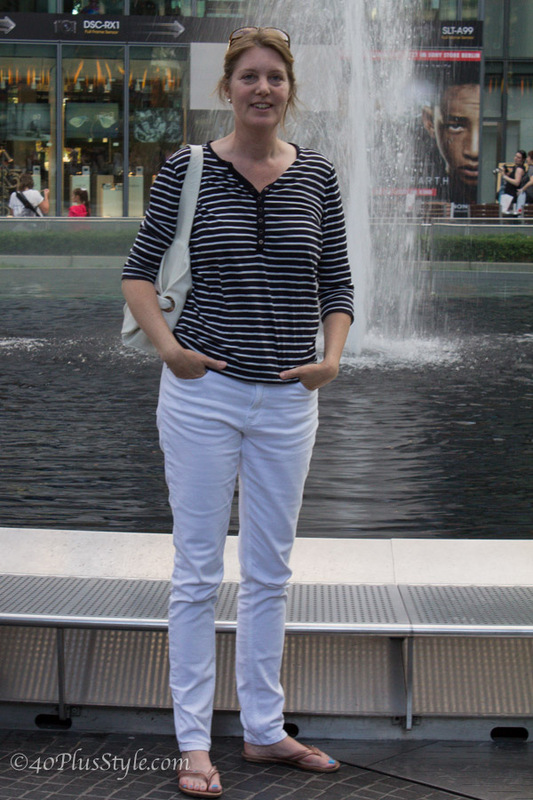 And my travel companian Saskia who was rocking her white jeans. 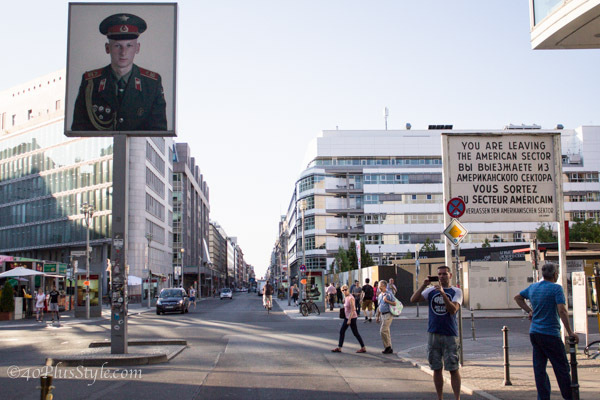 These are great photos and a very interesting article on Berlin. Thanks Sylvia, it’s lovely to follow you around on your trips abroad. Great. It’s a little off topic, I realise, so glad that you’re enjoying my holiday reports. My sister spent several years in Germany and was blessed to have been there in 1989 when the wall was broken down… She even has pieces of it and other memorabilia. I rembember being on the phone with her and hearing the partying and jubilaton in the streets. Great photos. thanks for sharing! I have a piece of the wall in my curiosity cabinet! It would be interesting to know if there are more pieces than there was actual wall! Golly, this brings back memories. I was at the wall in 1990 when it was in the process of being knocked-down. Amazing how things change. 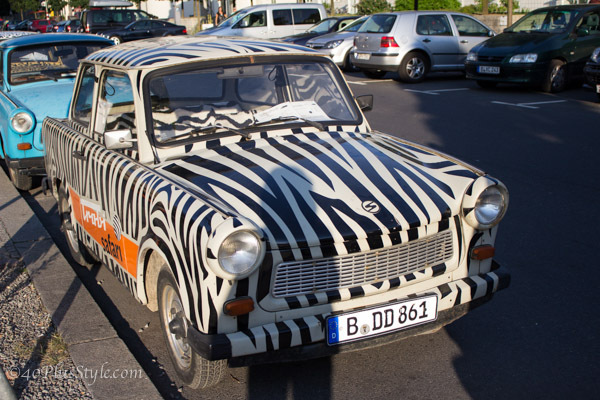 Berlin is a really great city with a unique sense of style. Berlin! 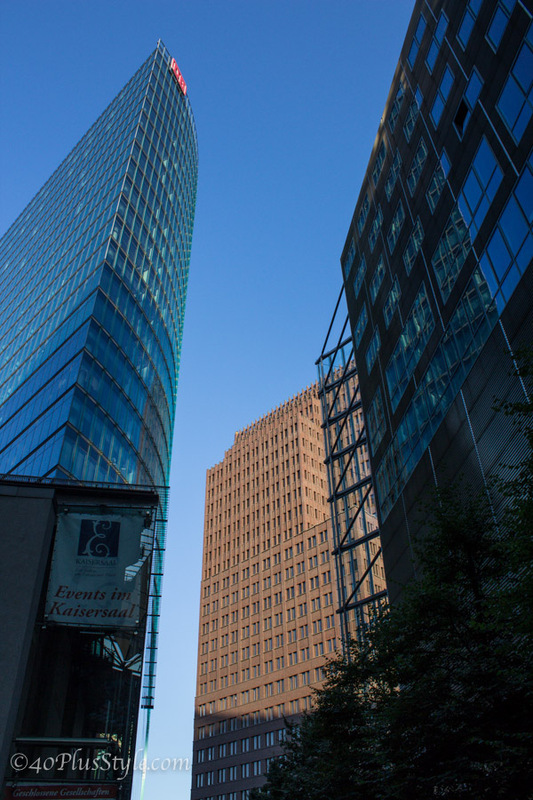 One of my favourite place – a city which represents a phoenix bird, full of creative energy. I adore it! Great photos! They capture the past and the more uplifting present! You and Saskia look travel-chic! Very nice to see your report of Berlin. And to see you and Saskia. I think you both look the part of city sightseeing. No use walking on high heels for hours. And you are still stylish. 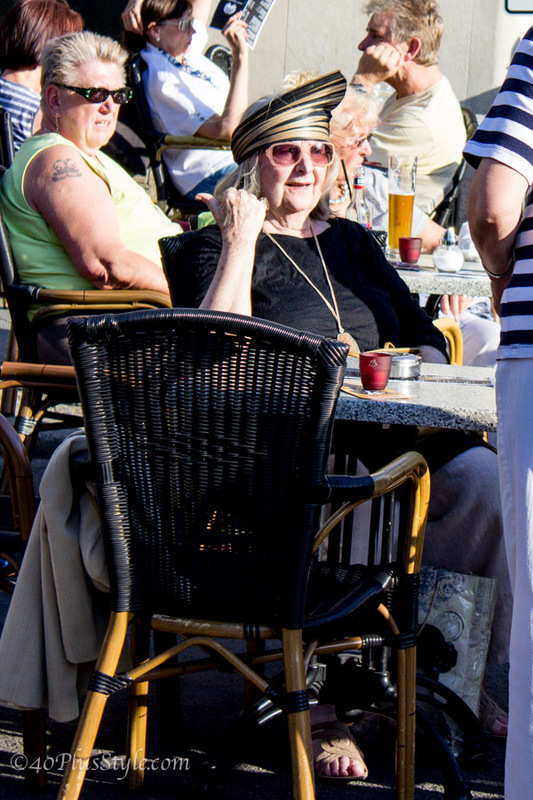 Nice reportage of Berlin, Sylvia. Only the pic of the lady does not show up…? Wonderful photos! I’ve heard Berlin is an incredibly interesting city. Cutting edge arts and music scene. I’m interested to know what make your watch is? 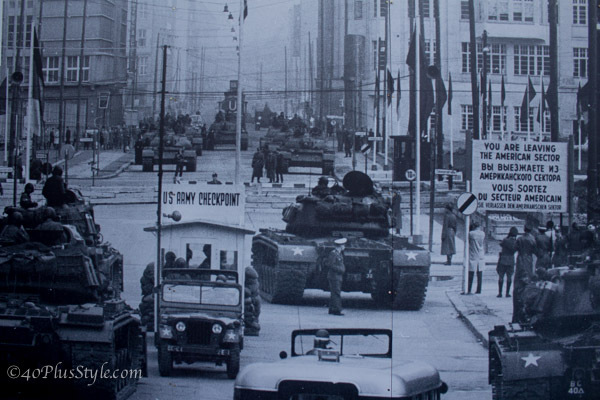 was there the year after the wall came down and toured the east germany part of berlin, very somber and eerie (practically no one lived there other than guards and tourists).